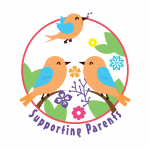 Therapeutic support for parents who have been notified-or are at risk of being notified- to Child Protection. alone or with other family members as indicated. SPECIALISING in Childhood Anxiety:- Generalised Anxiety, Separation Anxiety, Social Anxiety, Phobias, Obsessive Compulsive Disorder. Mindfulness Based Cognitive Behavioural Therapy; Acceptance and Commitment Therapy; Play Therapy; and Parent Skills Training. The Recommended Fee Schedule from the APS is $228.00 for a standard 45-60 minute psychological consultation. You may be able to obtain rebates through Medicare (with a referral from a GP or a Paediatrician) and from selected Health Insurance Extras policies. Please note: 24 hours notice is required for cancellation or a fee will be charged.